Social media marketing is becoming more science than experiment as consumer behavior studies surface. Smart brands will recognize how various demographics use each network to share information and interact with others, using this insight to craft specialized campaigns that enhance rather than clutter users’ experiences across channels. For instance, members of Gen X tend to rally around Facebook, while female Millennials tend to openly engage with brands online and tech influencers are some of the most active Twitter users. Facebook marketing for Gen XIn the midst of what appears to be reinvention, Facebook is shifting its focus from people’s personal lives to interesting information. From its beginnings as a collegiate networking platform, the site has amassed a global following that’s more than a billion strong. However, skeptics now doubt whether it will hold younger consumers’ interest, given the popularity of visually focused platforms like SnapChat, Instagram and Vine. Facebook may be answering that criticism by offering something its older users want – information and personalized content. Facebook remains the favorite social network among the Gen X demographic. According to emarketer, Facebook remains the favorite social network among the Gen X demographic, which includes people born between 1965 and 1980. The report suspects brands will have more success reaching this group by targeting them on Facebook, because members tend to treat the site as a hub more than any other platform. Female Millennials openly engage with brands on social networksOn the other hand, marketers targeting younger female audiences might find it’s less about finding the right channels and more about defining an identity that resonates with their prospects. A separate study by SheKnows and Harris Interactive found Millennial women follow more brands on social networks than either Baby Boomers or Gen Xers – about 22 on average. The study found women are looking to build identities and relationships online, and they often look to content shared on social sites to do both. Marketers who create effective social media content can keep their audiences informed and inspired as they foster connections that turn into brand loyalty over time. Millennial women follow more brands on social networks than either Baby Boomers or Gen Xers – about 22 on average. Active Twitter audiences smaller than expected?Twitter is usually heralded as one of the social media giants, but its general membership may actually be less active than anticipated. A study conducted by Jon Bruner of the O’Reilly Radar revealed a striking fact: The majority of Twitter members are hardly active and have just a handful of followers. The median account has just one follower. While there are small pockets of highly active members, they’re likely considered industry influencers. According to the study, this accounts for just those in the 96th percentile are active Twitter members. Therefore, it’s important that marketers identify core user groups and speak specifically to them rather than casting a wider net that distributes content to accounts that are rarely used. 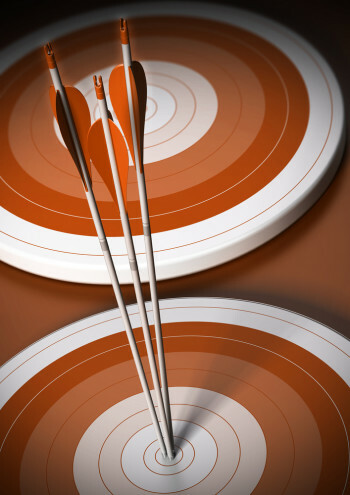 However, audience research and targeting is an important part of any social marketing strategy. Brands must know who they want to reach and create content specifically for those readers if they want to be successful moving forward.